A.J. (Arjan) van der Schaft (1955) received the undergraduate and Ph.D. degrees in Mathematics from the University of Groningen, The Netherlands, in 1979 and 1983, respectively. 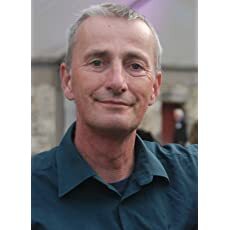 In 1982 he joined the Department of Applied Mathematics, University of Twente, Enschede, where he was appointed as a full professor in Mathematical Systems and Control Theory in 2000. 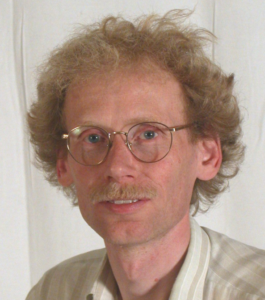 In September 2005 he returned to Groningen as a full professor in Mathematics. He served as Associate Editor for Systems & Control Letters, Journal of Nonlinear Science, SIAM Journal on Control and Optimization, the IEEE Transactions on Automatic Control, and was Editor-at-Large for the European Journal of Control. Currently he is Associate Editor for the Journal of Geometric Mechanics, and for Annual Reviews in Control. 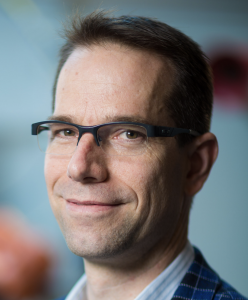 Arjan van der Schaft is Fellow of the Institute of Electrical and Electronics Engineers (IEEE), and Fellow of the International Federation of Automatic Control (IFAC). He was Invited Lecturer at the International Congress of Mathematicians, Madrid, Spain (2006), and was the 2013 Recipient of the three-yearly awarded ‘Certificate of Excellent Achievements’ of the IFAC Technical Committee on Nonlinear Control Systems. He is member of the Jan C. Willems Center for Systems and Control. 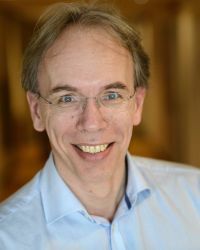 Hans Zwart is Professor in Physical Systems and Control, and head of the Chair Hybrid Systems in the Department of Applied Mathematics at the University of Twente. His research interests are in control and analysis of systems described by partial differential equation and/or time difference differential equations. The main focus is on the development and analysis of controllers for linear systems. Hereby using the mathematical techniques from functional analysis and Hamiltonian dynamics. Main area of applications is the controller design and analysis of flexible structures. 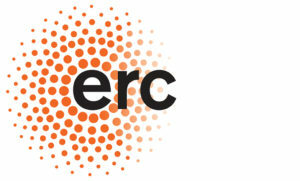 On this topic he has a long lasting collaboration with research groups in Besançon, Lyon, Wuppertal, and Eindhoven. At Eindhoven University of Technology, department of Mechanical Engineering, he holds a one-day-per-week professorship. 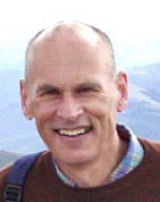 Prof. H. Zwart is the co-author of two standard text books in his field; An Introduction to Infinite-Dimensional Systems Theory, (with R. Curtain) and Linear Port-Hamiltonian Systems on Infinite-Dimensional Spaces (with B. Jacob). He is interested in the holistic, energy-based view of biomimetic robots: how can the efficient propulsion of animals be copied to artificial counterparts? Does a cheetah robot, that has to run fast with a low cost-of-transport, have to look like a cheetah to obtain similar dynamics? And: what are the fundamental aspects of flapping-wing bird flight that have to be copied to create and improve an ornithopter? Geert works part-time as assistant professor at the University of Twente and part-time as lead R&D engineer at Clear Flight Solutions, the UT-spinoff that develops the Robird® for bird control. Kees Venner is Chair of the Engineering Fluid Dynamics Group. Research themes in the group are: Rotating flow machines, Computational Fluid Dynamics Algorithms and Design, Aeroacoustics and Aerodynamics, Biomedical Fluid Mechanics, Fluid Mechanics of Functional Materials. He got the PhD from University of Twente, 1991, in the area of Thin layer flow/Lubrication and Multigrid/Multilevel methods. Held visiting scientist and Postdoc positions at the Weizmann Institute of Science, Rehovot, Israel, and at Imperial College, London, UK. 2000-2014 assistent/associate prof. in the Engineering Fluid dynamic group at the University of Twente. Senior visiting scientist at SKF RTD Nieuwegein, The Netherlands. He has 25+ years of expertise in research and leading research projects in different areas in fluid mechanics, ranging from small scale thin layer flow and optimal interface design on a nanoscale in lubrication and microfluidics applications to large medium scale industrial and biomedical, to large scale windturbines, aircraft). Expertise in experimental and theoretical results and numerical methods. He is author of 80+ papers in international journals. h-factor 32 (google), 20 (Web of Science). Author of book “Multilevel methods in Lubrication (Elsevier). Bernard Geurts is internationally recognized as expert in the field of computational fluid dynamics. He develops and analyses novel numerical methods for large-scale computing in a multidisciplinary context. 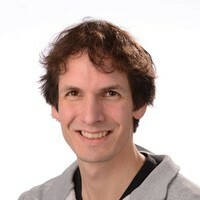 He received his PhD degree at the University of Twente and is chair of the Multiscale Modeling and Simulation group. Key items characterizing his work are simulation expertise. Over the past years software and methods for simulating aerosol dynamics and multiphase turbulence was developed in his group. This allows to understand nucleation and growth of multi-component aerosols from supersaturated vapors and the dynamics of bubbles in flow. Aerosol transport and evolution inside aerosol generators as well as inside the upper human airways can be addressed successfully. This software was made publicly available and is being used by several industrial partners and in academia. The work was awarded the Wim Nieuwpoort prize for Scientific Computing in 2017. I received my M.Sc. degree in Electrical Engineering with honours from the University of Twente following a study on magnetic recording carried out at the Philips Research Laboratories, Eindhoven. In 1992 I received the doctorate degree with honours from the same university and was rewarded the 1993 Veder price of the Dutch Electronics and Radio Engineering Society (NERG) for my PhD-thesis on nonlinear integrated optics devices. From 1992-1995 I was a fellow of the Royal Netherlands Academy of Arts and Sciences and studied second- and third-order non linear integrated optics devices. In this period I was a visiting scientist at the Center for Research and Education in Optics and Lasers in Orlando, Florida, USA. 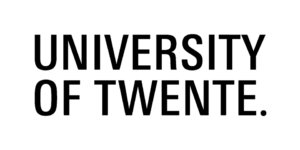 In 1995-1997 I worked on integrated optic devices for optical telecommunication at the University of Twente and the Delft University of Technology. Since1998 I have been associate professor in the Transducers Science and Technology (TST) group of the MESA+ research institute and mainly responsible for the micro-actuator research. The last few years my attention has shifted to biomimetic MEMS. In 2005 I was rewarded a NWO Vici grant for my project proposal BioEARS on cricket inspired flowsensors. Since May 1st 2007 I am a full-professor of the chair of MEMS-Design focussing on bioinspired transducers. From April 2011 to December 2015 I was the chair of the Transducers Science & Technology group. My current research interests are Transducers science (including parametric and nonlinear transduction), Biomimetic sensors and 3D printed transducers.